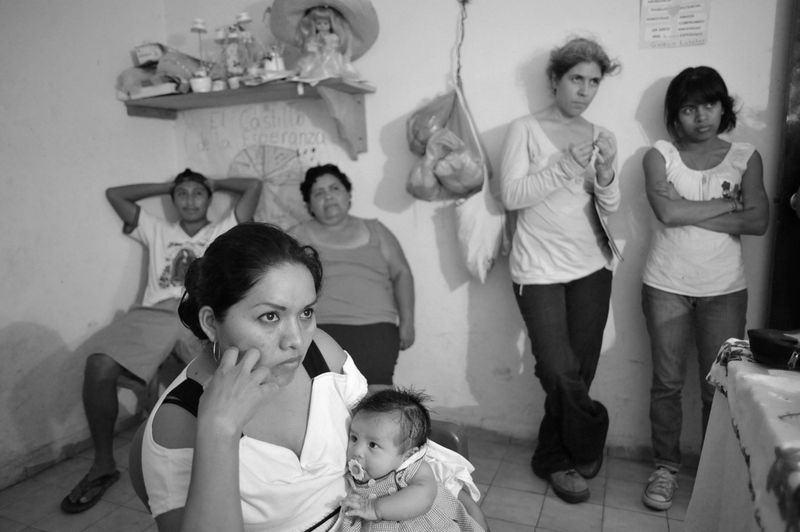 Merli holds her two month old daughter Gretel and listens to a traditional Mayan midwife as the baby's father Sergio and grandmother Rosina watch, along with CASA midwifery students Ema Villanueva and Elisa Mulato Perez. The midwife performed a cleansing ritual and washed the baby with herbs to reduce her fever. CASA Midwifery School students traveled to the rural village of Chunhuhub to learn traditional methods from Mayan traditional midwives and to teach them contemporary practices in exchange.